When you use your computer, you might face some accidental loss of data due to unavoidable reasons. But what if the data that you lost was extremely important? Wouldn’t you be able to recover the lost data? Well, with the invention and advancement of technology, there are many free data recovery software programs that can assist you in recovering your deleted data. You can recover and ‘undelete’ files on your PC. The files that you have recently deleted and emptied into the Recycle Bin are usually present in your hard drive and they can be effortlessly recovered through the free data recovery software. Have a look at the names of some of the best file recovery software available on the web. Recuva: Recuva, as the name suggests, is one of the best data recovery software that is available on the web free of cost. Although it is extremely easy to use, yet it has many optional features as well. Recuva can easily recoup files from external drives, hard drives, DVD, CD discs and also from memory cards. The deleted files from your iPod can even be undeleted through this software. Just as the simplicity of deleting a file, undeleting a file is also easy. Puran file recovery: This is yet another free data recovery software used by the users. This program will scan any drive that can be seen by Windows and this too has a number of advanced options as per your convenience. Another special thing to note is that this program identifies more files from your machine than all the other tools. Hence, you can expect something more from this software, as compared to Recuva. 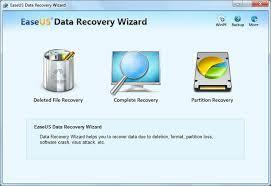 EaseUS Data Recovery—This is the best free data recovery software. It helps you to recover deleted photos and files from hard drive, external hard drive, other storage media due to deleting, formatting, software crash, hard drive damage, virus attacking, partition loss or other unknown reasons. Only three steps and a few clicks to get whatever you lost back! Disk Drill: This is a useful and free data recovery program, not only due to its features but also due to the simple design that makes it almost impossible for you to get confused and doubtful. According to their website, they claim to recoup deleted files from “virtually any storage device” like external and internal hard drives, memory cards, USB devices and iPads. It gives you the opportunity to preview images before recovering them, halt scans and again resume them later, filter files by size or date and scan the entire file for faster and safer results. So, if you have made the mistake of deleting a file or a file gets deleted due to some unpredicted reason, you need not worry as you can leverage any of the above mentioned data recovery software programs. As they’re free and you can download them from the internet, this is even a cost-effective method for the users.